Constance Elizabeth Louise Macadam was born on the 6th September 1867 at Brighton House, 25 Brighton Place, Portobello. She died just before her 4th birthday on the 28th August 1871. Her short life was ended by diphtheria. Yet this life quick as it was, also reflects a remarkable family with a long association with Portobello, and also shows us why the child mortality rate was still so high. Constance was born into a family noted for their contribution to science. Her father was Stevenson Macadam who was not only an analytical chemist but also a lecturer and author. He was a founder of the Institute of Chemistry of Great Britain as well as of the Society of Chemical Industry. He lectured at various Edinburgh institutions including Edinburgh University and the Royal College of Surgeons. He also had a large analytical chemical consulting practice and was renowned for his expertise in this field. He was born in 1829 in Glasgow. His father was in the textile printing industry and had developed knowledge and expertise in processes that enabled industrial fabric printing. Stevenson and his brothers grew up sharing this interest in chemical science and the family are noted for their enduring contribution to this field across generations. After extensive study in both Scotland and Germany, Stevenson began lecturing at the Royal College of Surgeons in 1855. That same year he married Jessie Andrew Ivison and they moved to Edinburgh. They had 5 children, Constance being the last. Her eldest brother was William Ivison Macadam who went on to become as eminent in the field of analytical chemistry as his father. He lived with his family for many years at 6 Brighton Crescent before moving to Lady Road in the Craigmillar Park area. William also became a noted and popular public figure in Edinburgh for his role as a volunteer Colonel with the Royal Scots Forth Volunteer Infantry Brigade. He is also known for the tragedy of his death, being dramatically shot by a mentally ill porter at Surgeons Hall. Thousands attended his funeral. Constance’s family lived initially in Leith, moving to Brighton House in Portobello in 1860. One of their daughters, Jessie was married at St. Marks. 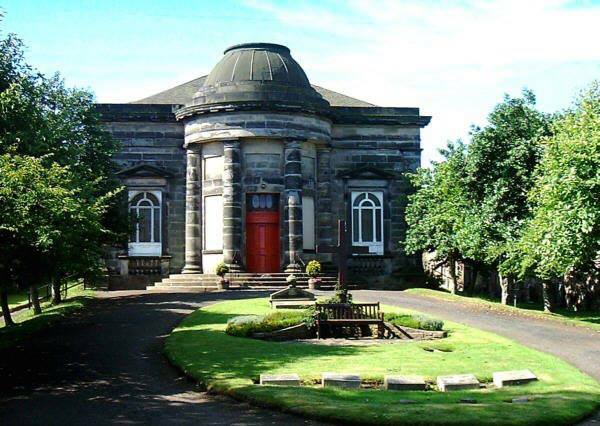 The other daughter, Helen had her wedding at Duddingston Parish Church. The younger son, also called Stevenson followed a similar career to his father, uncles and brother. William Macadam’s daughter Elison became the first woman ever to graduate in chemistry at Kings College London. Constance therefore grew up within an academic and gifted family. She died of diphtheria, an illness for which at that time there was no vaccination. It was particularly lethal for young children and highly contagious, leading to quick spreading outbreaks that were impossible to contain. It used to be one of the leading causes of deaths in children. Looking at the pages before and after, it is striking how many are young deaths both from diphtheria and scarlatina which were often found together during epidemics. Treatment at that time was largely ineffectual, the option of tracheotomies helped a few but with very young children this carried its own risks. The science that would have saved Constance was still decades away. It would be 1883 before the bacterium causing diphtheria was identified and 1913 before a vaccine was first successfully developed. Mass vaccination was not started before the 1920s and it would be the 1940s before this grim disease became rare in the UK. It is always terrible for parents to watch a child die, but it must have been particularly hard for Stevenson Macadam, a man with a wealth of scientific knowledge and ability at his fingertips to understand that there was nothing he could do to save his daughter. Another interesting feature about this grave is that Constance is buried at an Episcopalian church. Stevenson Macadam was a member of the Church of Scotland and helped found and build St. James Church in Rosefield Place. He is buried in Portobello Cemetery along with his wife and second son. His eldest son, and his grandson are also in Portobello Cemetery. We cannot know for certain why the family chose St Marks for Constance but perhaps its location, not far from their home in Brighton Place may have been a factor. Both Stevenson Macadam and William Macadam have entries in Wikipedia. Whilst this source is not always 100% accurate in this case their life histories seem to be factual and well informed.